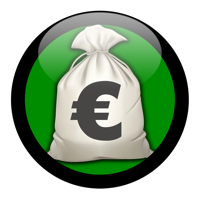 MILLIONS FOR EUROMILLIONS is an intelligent playslip generator for EuroMillions. A dumb playslip generator, like the others you see at the store, simply choose numbers between 1 and 50 and stars between 1 and 11 at random. MILLIONS FOR EUROMILLIONS, on the other hand, is an intelligent playslip generator. It analyzes all EuroMillions results up to date, identifying patterns that are used to generate statistical profiles that shows the tendency and likelihood of certain numbers and combinations. That statistical profiles are used to filter those playslips that do not fit on the tendency. Things like limiting the number of lines and columns a playslip can have, limiting the amount of numbers on diagonals, the amount of odd and even numbers, the amount of prime and Fibonacci numbers, the amount of numbers per areas, per halves, per quadrants and so one, the number of occurrence of certain balls, combinations, columns, etc., are all used for increased precision. The result is the generation of playslips fine tuned to the current EuroMillions results. MILLIONS FOR EUROMILLIONS recalculates all profiles after every EuroMillions new result, increasing its own precision. After downloading this app, it will work on the LITE mode. Optionally, you can convert it to the PRO mode, unlocking all functionality. * Updates itself with the latest EuroMillions results as they are available. * Because we were unable to get blank playslips from all countries where EuroMillions is played, this functionality is just working, for now, for the following countries: England, Ireland, Belgium and Portugal. If you want this to work for your country, please mail us a few blank playslips (contact our support for more informations and address).